Sony a7 or Sony a7R? If you are going to the market for a compact full-frame mirrorless camera, these models of Sony are certainly standing at the top of your priority list. Both models are coming from the US$1000 – US$2000 price range, and they are very popular among experienced users. However, Sony a7 may seem quite similar to Sony a7R at a glance, and some of you are perhaps wondering whether you should go with the more affordable Sony a7 or the more expensive Sony a7R. On the following article, we are going to outline the differences between Sony a7 and Sony a7R so that you will be able which one is best. 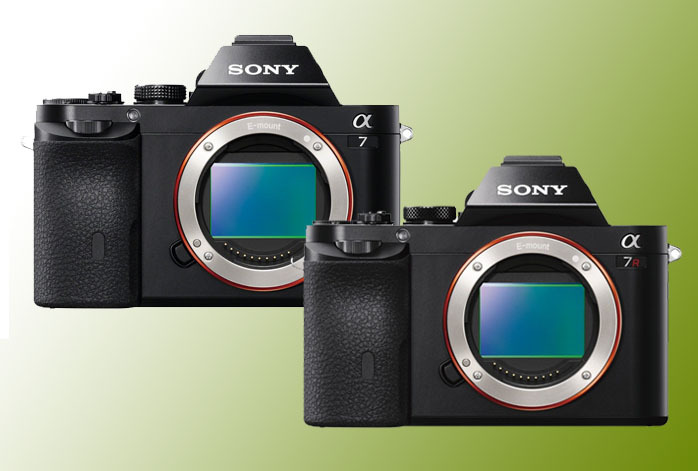 The key difference between Sony a7 and Sony a7R is the image sensor. Sony a7 relies on a 24.3MP CMOS sensor while Sony a7R boasts a 36.4MP CMOS sensor. But this is not only about a matter of pixels because Sony a7R is furtherly enhanced with an anti-aliasing/OLP filter. Therefore, Sony a7R is able to generate much sharper and more detailed images than Sony a7. The difference is very noticeable. Sony a7R’s pictures have astonishingly plenty fine details that can’t be beaten by Sony a7. The next difference between Sony a7 and Sony a7R is the autofocus feature. This time, Sony a7 has the better edge. It has phase-detection focus pixels on its sensor, while Sony a7R doesn’t. As the effect, Sony a7 can combine phase-detection and contrast-detection autofocus to provide much faster and more accurate focusing. Sony a7 is better for tracking moving objects than Sony a7R. This is quite interesting; the more expensive model lacks phase-detection autofocus, so Sony a7R is better suited for still or slow-moving objects. Neither of these models is ideal for fast-paced action photography, as they both have only up to 4 fps of speed for continuous shooting. However, Sony a7 do have quicker and smarter autofocus, as well as faster x-sync, than Sony a7R. The rest of their specifications and features are quite identical. They both record vids in up to 1080p@60fps quality. So, should you choose Sony a7R for a higher resolution and detail and compromise in speed? Unless you are taking pics for very large prints, this is not necessary. You can get the fullest value out of your money with Sony a7, which offers a better performance.